A European species spreading into dry sunny disturbed areas, but still very local in the United States. 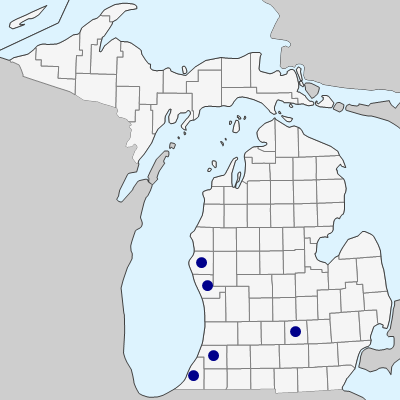 First collected in disturbed ground at East Lansing, Ingham Co., in 1949. MICHIGAN FLORA ONLINE. A. A. Reznicek, E. G. Voss, & B. S. Walters. February 2011. University of Michigan. Web. April 18, 2019. https://michiganflora.net/species.aspx?id=1362.